A police cruiser is shown at the scene of an industrial accident at a high-rise near Yonge and Wellesley streets on Tuesday. A man has been pronounced dead after falling many storeys from a building under construction downtown. 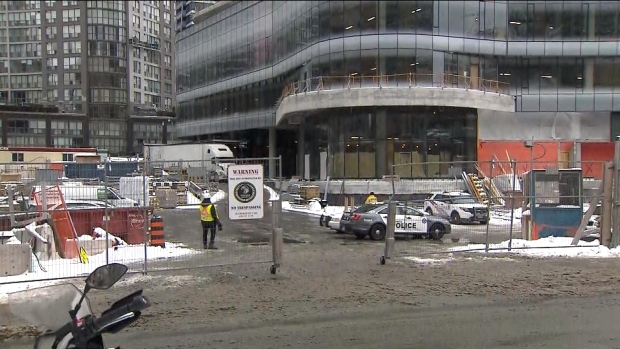 Emergency crews were called to Yonge and Wellesley streets shortly after 11 a.m. after a man who was working on the high-rise building plummeted to the ground. Police said the man is believed to have been on one of the higher levels of the building. The worker was pronounced dead at the scene, Toronto police said.